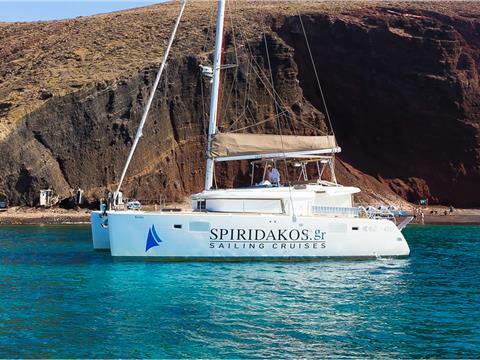 Set sail from Ammoudi Bay below the village of Oia and sail around the volcano for panoramic views. Stop for a swim in the hot springs of a natural spa, and then continue towards the old Venetian lighthouse at the southern tip of the island. Discover the caves and rock formations below Indian Rocks, and continue to White Beach for the chance to swim and snorkel whilst the crew prepare a lunch of appetizers, salads, meat and barbecue seafood.